Although Walmart was founded in 1962, it is at the forefront when it comes to transforming marketing operations and customer experience using Automatic Learning, Internet of Things (IoT) and Big Data. 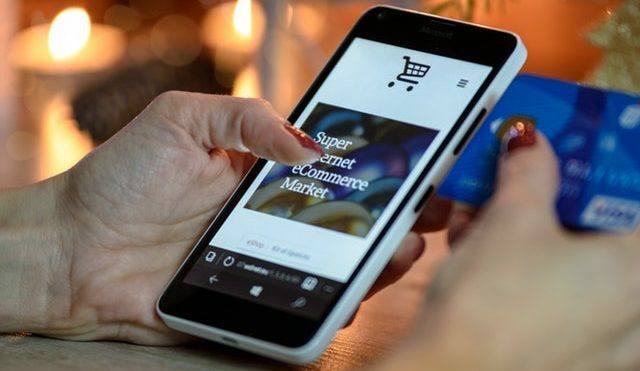 In recent years, its patent applications, positioning as the second largest online retailer and investment in retail technology and innovation are just a few of the reasons that are among the evolving retail leaders to take advantage of the technology to build your business and provide better service to your customers. Lauren Desegur, vice president of customer experience engineering at Walmart Labs, said: “We are principally creating a bridge in which we are refining the shopping experience through automated learning. We want to make sure that there is a unified experience between what customers are doing online and what they do in our stores “. While your rival bow in business may be Amazon.com, Walmart has the advantage of using the best of both worlds -with over 11,000 brick and mortar stores and their online experience in their lab to develop retail technology which catapults sales and customer pleasure. Walmart was one of the first to adopt RFID to track inventory and has a technology incubator called Store No. 8 in Silicon Valley to “incubate, invest and work with other emerging companies, venture capitalists and academics to develop their own robotics patented, virtual and augmented reality, automatic learning, and artificial intelligence technology.” Recently, Walmart launched Pick-up Towers in some of its stores that are 16 x 8 feet self-service cabins suitably located at the entrance of the store that salvages online orders for customers. Customers can only scan a barcode on their online receipt and in 45 seconds the products they purchased will appear on a conveyor belt. So far, customers give these positive reviews of Pick-up Towers as an improvement over the traditional process of collecting the store. Another way Walmart hopes to improve the customer experience with new retail technology is through Scan and Go Shopping. Customers in the pharmacy and money service areas will be able to use the Walmart application for some aspects of the payment process instead of waiting until they arrive at the counter and then they can bypass the main queue to enter and exit the store more quickly. This is a step in the direction of being able to escape the payment process completely with the use of computer vision, sensors and machine learning as used in the Amazon Go concept store. Walmart already uses auto-learning to enhance the delivery routes of its associated home deliveries. One of the new ways that Walmart could affect its operations is by using face recognition technology to identify unhappy or frustrated buyers. As machines learn to detect different levels of frustration through the facial expressions of those in line, it could trigger additional associates to run the registers and, finally, be able to analyze tendencies over time in a buying behavior of the customers. In 2015, Walmart also verified this technology to try to detect and stop theft. What’s next? According to a patent application filed by Walmart, it seems that their next step is to integrate IoT labels into products in order to observe product usage, automatically replace products as needed and monitor expiration dates or withdrawals of products. These sensors bank on a wide variety of technologies such as Bluetooth, bar codes, RF and RFID tags and will provide Walmart with an incredible amount of data, including the time of day products are used where products are kept in the house. This data could help create tailored advertising and expand cross-selling prospects. If you had a tag reader installed in your refrigerator, you could scan everything you place inside and it will notify you when you need to replace or when the items have expired. In another example, a RFID system could control how many times you pick up your laundry detergent and calculate how much is left. This information could be added to your shopping list and fed into Walmart data vaults to illustrate consumer behavior. Although patents have been filed, it remains to be seen what technology Walmart will implement and make available to all its customers. One thing seems certain: There is no reason to believe that Walmart will slow down its investments in machine learning, IoT, and Big Data to improve its progress and improve the customer experience in the short term. It is clear that Walmart is facing future challenges today, anticipating what’s to come. Can you foresee what engineering challenges will companies face in 10 years?